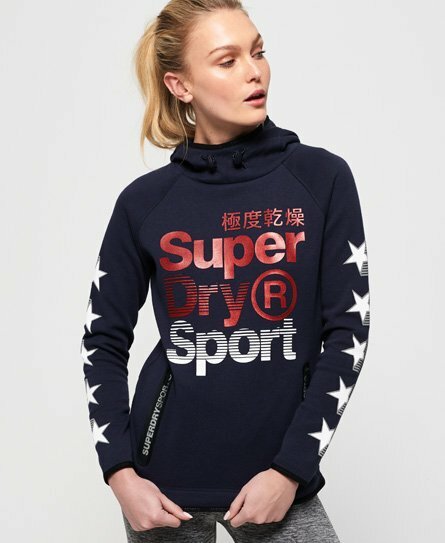 Superdry women's Gymtech superstars hoodie. This hoodie features two front zip fastened pockets with Superdry logo detailing, a textured Superdry graphic across the chest and bungee cord hood and hem for your perfect fit. Finished with textured graphics down the sleeves and a Superdry rubber logo badge on the hood.